I had the honor of performing at one of the most well known cafe's in Nashville during my trip. It was an amazing experience. It's always a treat for musicians when we get to perform to people who listen to every note and word.The Bluebird Café is one of the world’s preeminent listening rooms and the venue has gained worldwide recognition as a songwriter’s performance space where the “heroes behind the hits” perform their own songs; songs that have been recorded by chart-topping artists in all genres of music. Located in a small strip mall outside of downtown Nashville, the 100 seat venue is unassuming in appearance but some of the most significant songwriters and artists have performed on this stage. At The Bluebird, performers include up-and-coming songwriters along with those whose music is regularly on the charts. Kathy Mattea was the first star to be identified with The Bluebird and is still a friend and a regular guest performer today. Garth Brooks played on both the Open Mic and Sunday Songwriter’s Shows before he was discovered – at The Bluebird – and signed to Capitol Records. What a great event to add to my memory bank. I hope I get the chance to go back again and perform sometime. Nashville has been amazing so far. The weather has been great and I have learned so much. 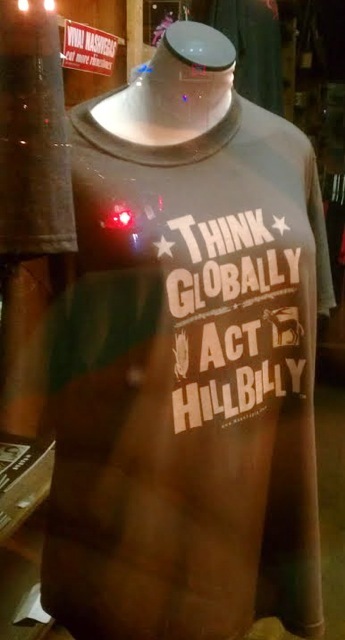 The t-shirt on the left side explains the Nashville frame of mind perfectly. All kidding aside, the last two nights I had the privilege of performing with our new friend and musician Garrett Steele. Garrett and his band are amazing, along with his manager Tina Marie. Make sure you check out his material at www.garrettsteele.com. I made a visit to ASCAP which is located on Music Row. Music Row is as classic as I imagined. There are endless recording studios, labels and publishing companies. 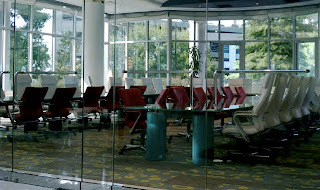 Below is one of the ASCAP conference rooms. My buddy and I got to meet with a few of the employees and it was pretty cool. That's about it for now. Been on the go so much I need to lay down for a bit. I'll have more news in the next few days. 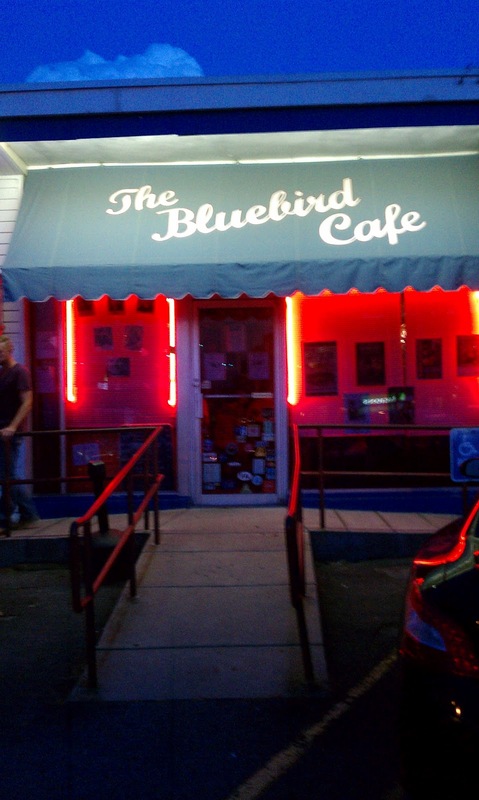 I'm playing at the Bluebird Cafe, so that will be quite the experience. © Tim Angsten. Simple theme. Powered by Blogger.